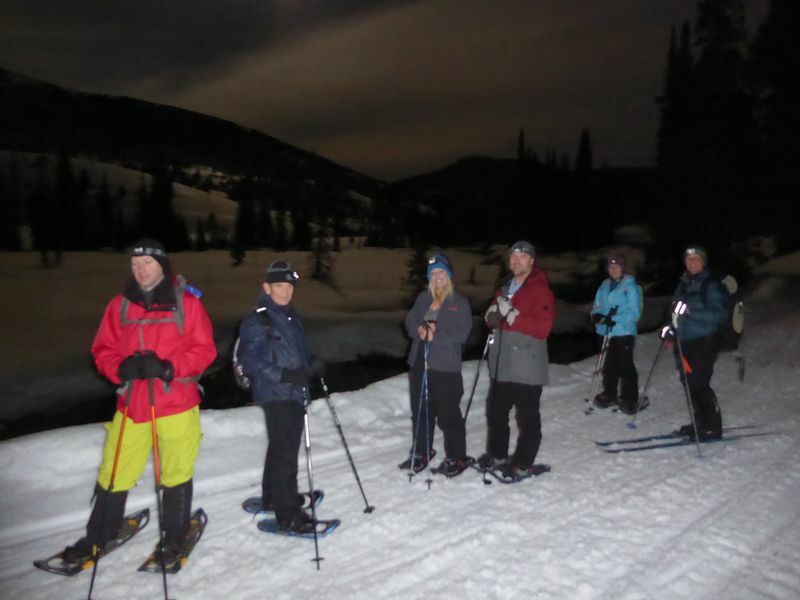 Seven Cache Hikers donned skis and snowshoes for a moonlight trek along the Franklin Basin road in upper Logan Canyon. 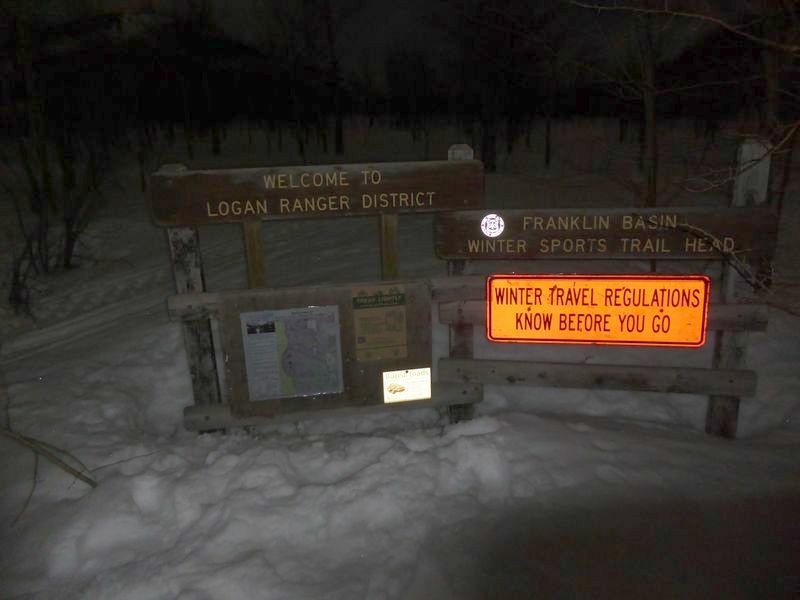 After driving 26 miles up Logan Canyon, we arrived at the Franklin Basin Winter Trailhead. We started out on the groomed snowmobile trail for the first 1/4 mile. After crossing the Logan River bridge we headed off-trail, following along the river for a mile before coming back to the main trail. 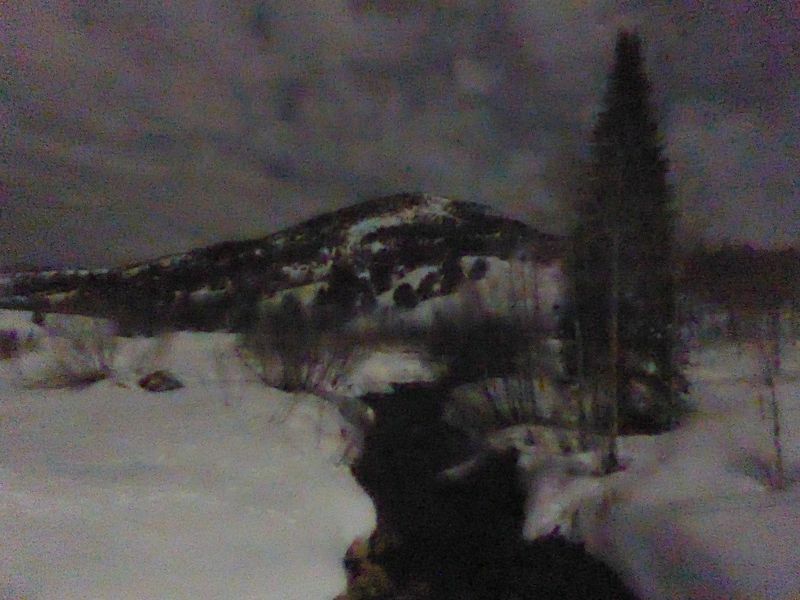 Our off-trail route also avoided a nighttime encounter with some late-returning snowmobiles as they roared back to the trailhead. After passing Beaver Spring we headed off the trail to our destination near the Logan River. 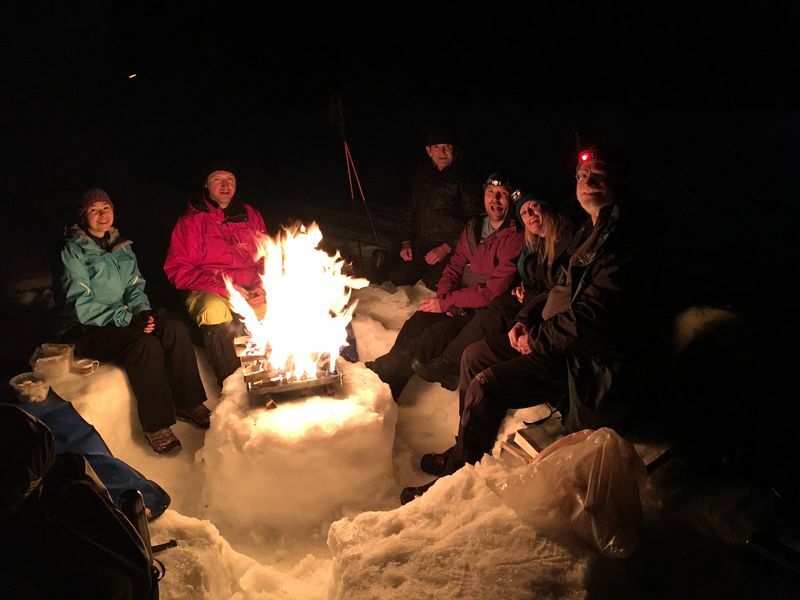 Here, we sat around a fire on our previously prepared snow bench, enjoying the moonlight and snacking on cookies (Stephanie's "moon cookies" were great). When our fire had burned down we packed up and headed back to the trailhead. The gentle downhill grade and icy snow allowed the skiers to glide most of the way back, rewarding them for the diminished grip that same snow provided on the way up. 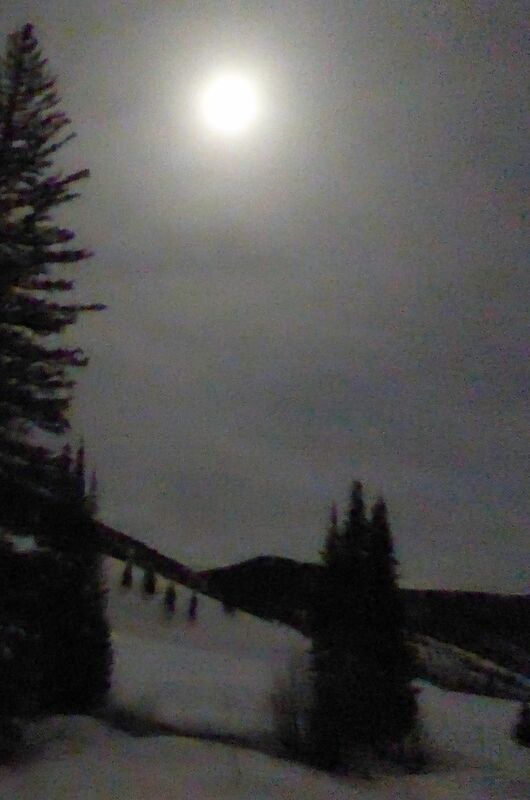 Thin clouds no longer obscured the moon, providing enough light to preclude the use of headlamps, if desired. 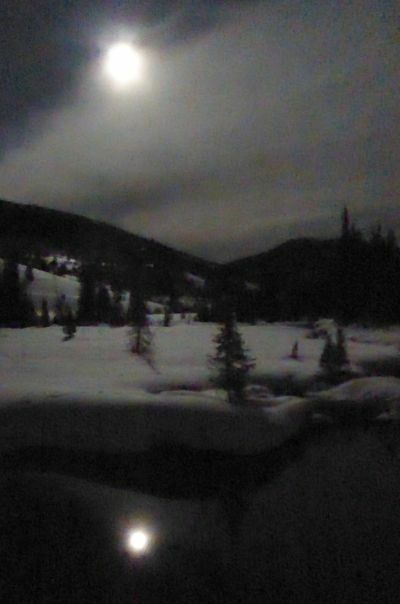 The sign at the trailhead proclaimed "Winter Travel Regulations, Know Before You Go", and a map showed the details. Snowmobilers are not heeding the rules, however, as the non-motorized area between the river and road was thoroughly tracked up. 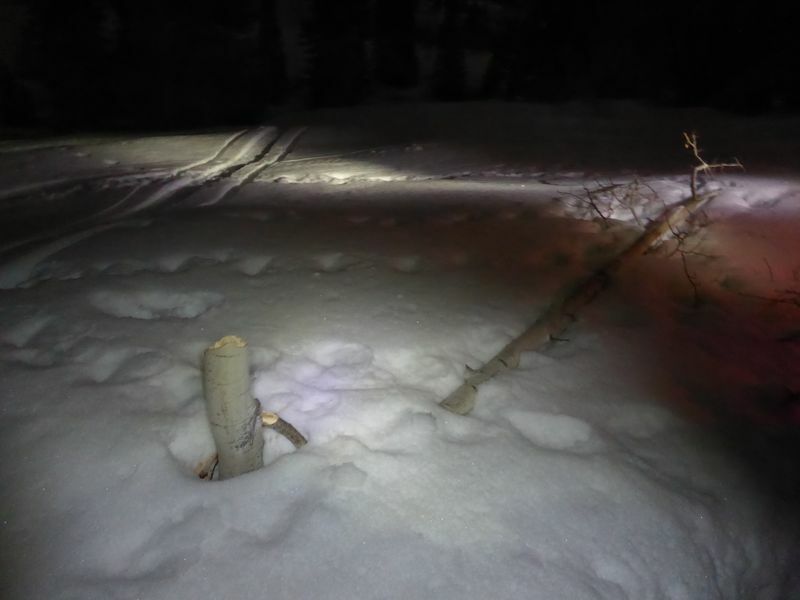 The situation is worse this year because the deep snow allowed the snowmobiles to run over the fence that protects the Beaver Spring area. Thanks to Dave W. for or narrative, photos and GPS work and Jane for photos.